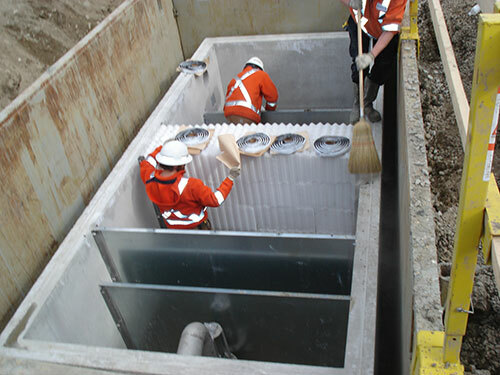 Below Ground Oil Water Separator Vault Installation - Mohr Separations Research, Inc.
Coalescing Plate Separators – Coalescing plate modules operate by gravity oil water separation. MSR’s closely spaced plates ensure optimal efficiency. The remove hydrocarbon and non-hydrocarbon oils such as corn or other vegetable oils from water.